crafty goodies: Christmas Garland with The Curtsey Boutique~retro style!! Christmas Garland with The Curtsey Boutique~retro style!! If you missed my post on Curtsey Boutique last week~no problem, here it is again. I made some retro looking garland out of paper striped soda straws~red and green. 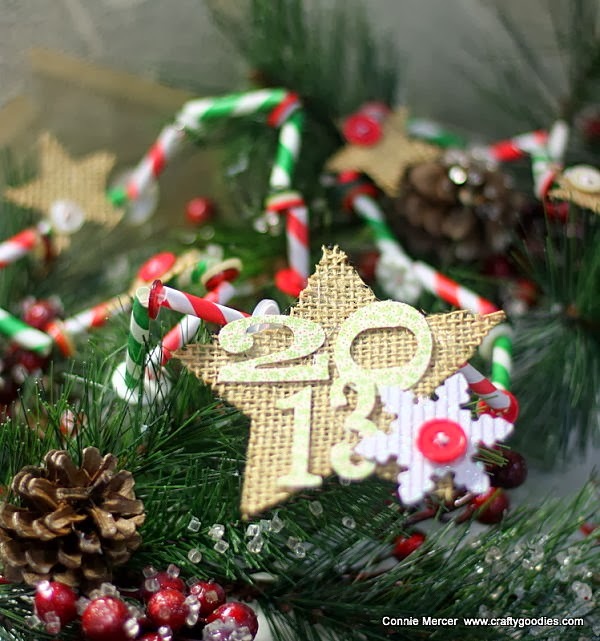 I did a tutorial on making the garland~you can see that here on the Curtsey Boutique Blog. I also put together these mittens. The Curtsey Boutique has all kinds of Christmas and Holiday die cut shapes. The Etsy shop is always full of goodies!!! Labels: Christmas, Curtsey Boutique, garland, ornaments. Loving these!! Off to see more!!!!!! Very creative. You are going to make it to get your handmade ornaments for your tree this year. Love them - so adorable and a perfect addition to a Christmas tree. Those mittens are adorable, Connie! Love the garland too. So festive! Love those sweet little mittens! Christmas Reindeer by Darkroom Door!! Remember this~crocheted pair of gloves!! 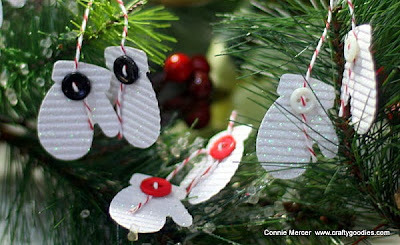 Clear Scraps Christmas Ornaments~so pretty!!! Try It Tuesday~Stitched Christmas ! Handmade with The Curtsey Boutique! Sentiment crafting projects~ a bird nest!